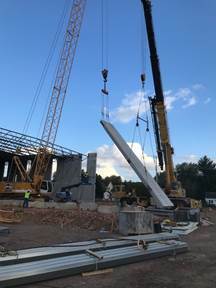 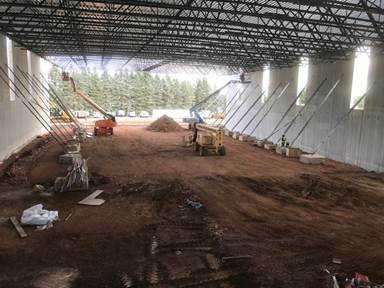 We continued setting precast for the field house and finished the roof on area B. 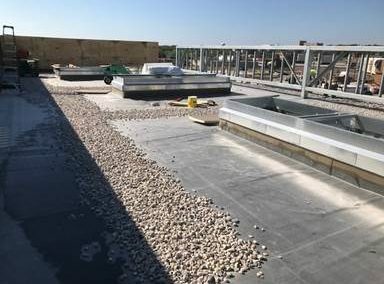 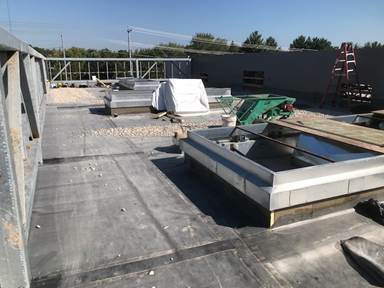 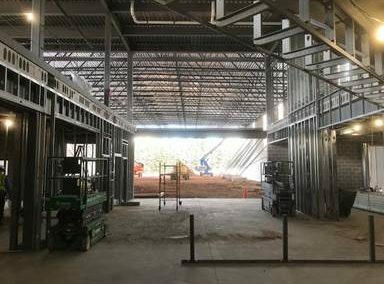 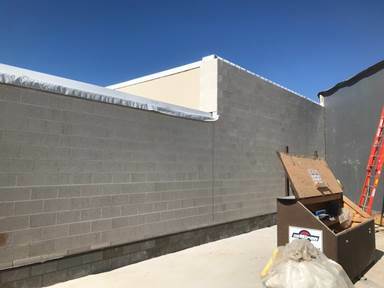 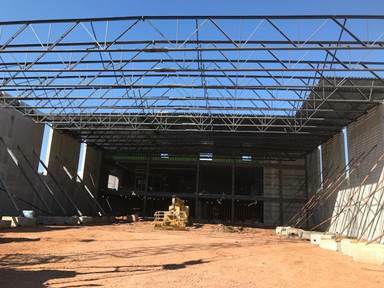 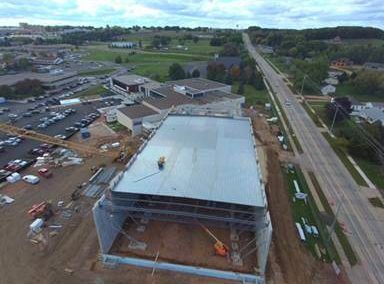 We continued to set the roof joints for the field house and finished the masonry veneer along the existing building on the roof. 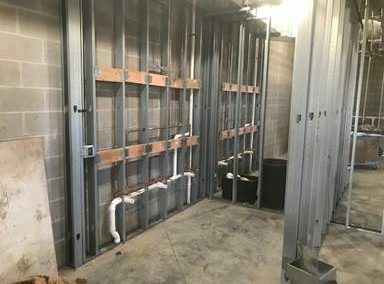 We started installing in-wall backing and interior window backing along with MEP rough-ins. 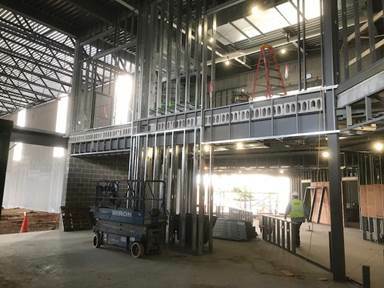 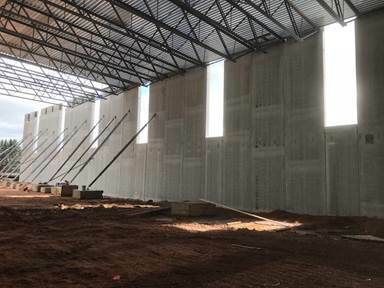 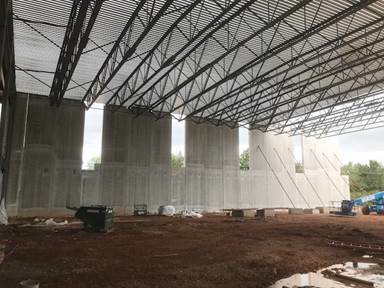 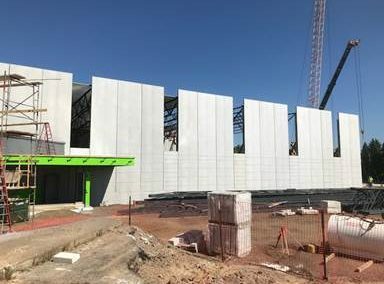 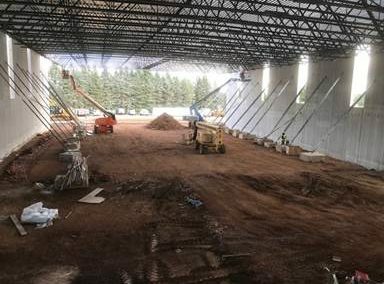 Precast wall panels and roof joints for the field-house have been completed. 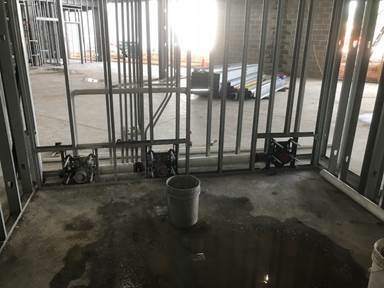 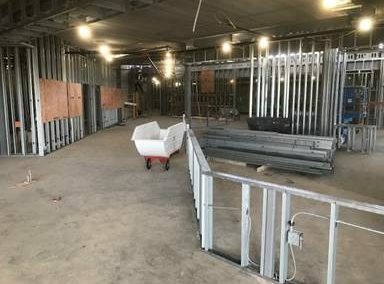 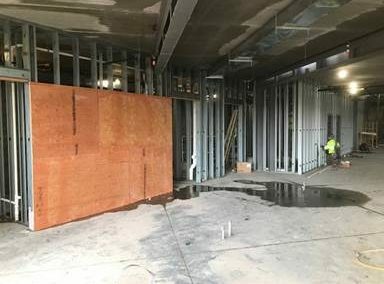 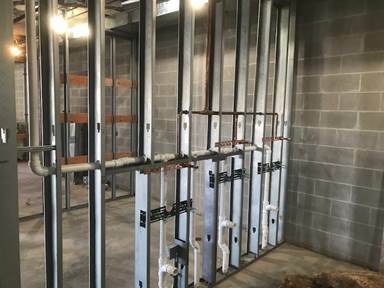 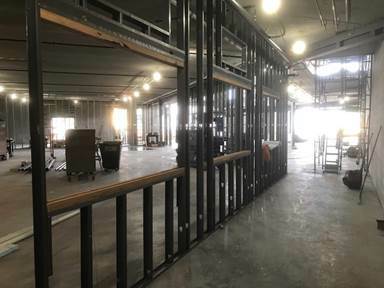 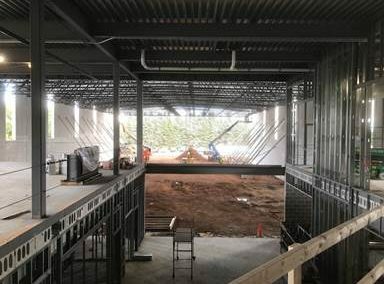 Framing for the walls in the lobby and the addition of the floor to ceiling fireplace. 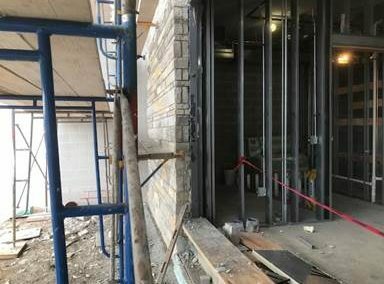 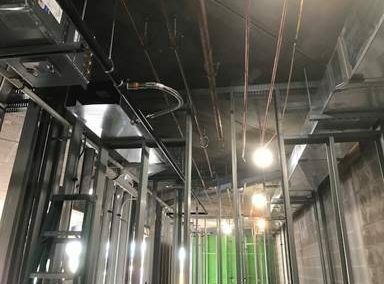 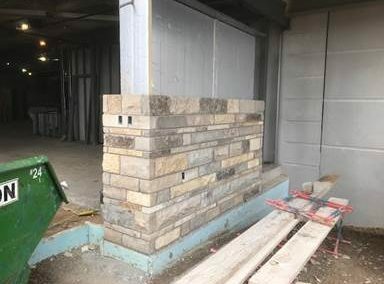 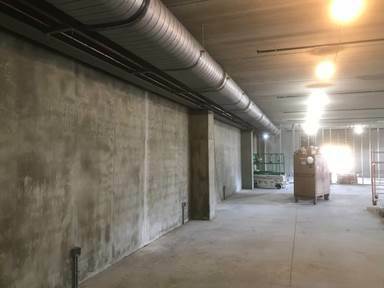 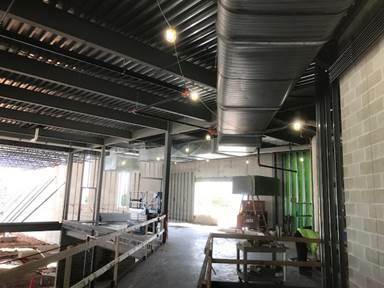 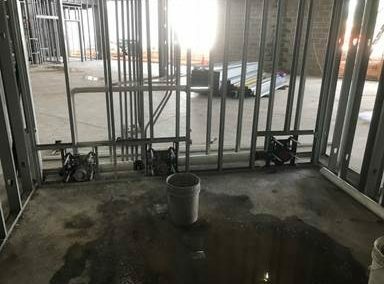 All of the MEP rough-ins have been completed on the first floor and continued work on the masonry veneer.